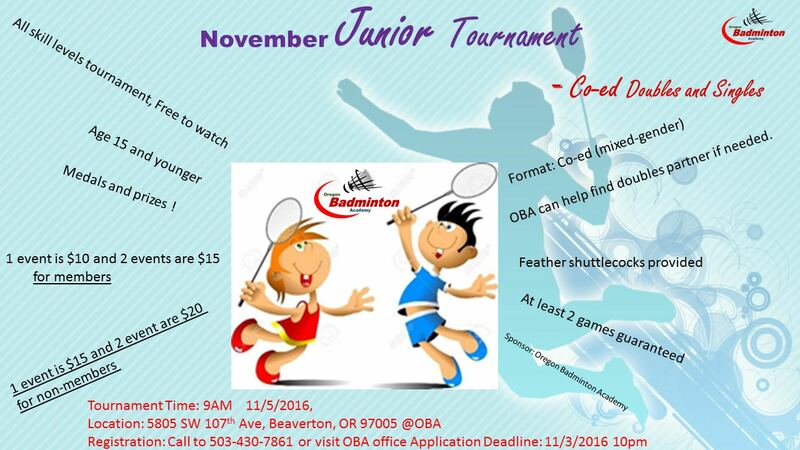 The Oregon Badminton Academy, with support from the Oregon Sports Authority and Washington County Visitors Association, will host the 2017 U.S. Masters International Championships in Portland, Oregon on May 18-21, 2017. OBA Halloween Party + 1st Anniversary Party! Description: Welcome to OBA Halloween and 1st Anniversary Party! Please wear Halloween costumes. Welcome dinner starts at 6:30pm. Social, fun games, prizes, special offers on our Proshop items! Free admission. Please invite your friends and loved ones to join us. See you soon! 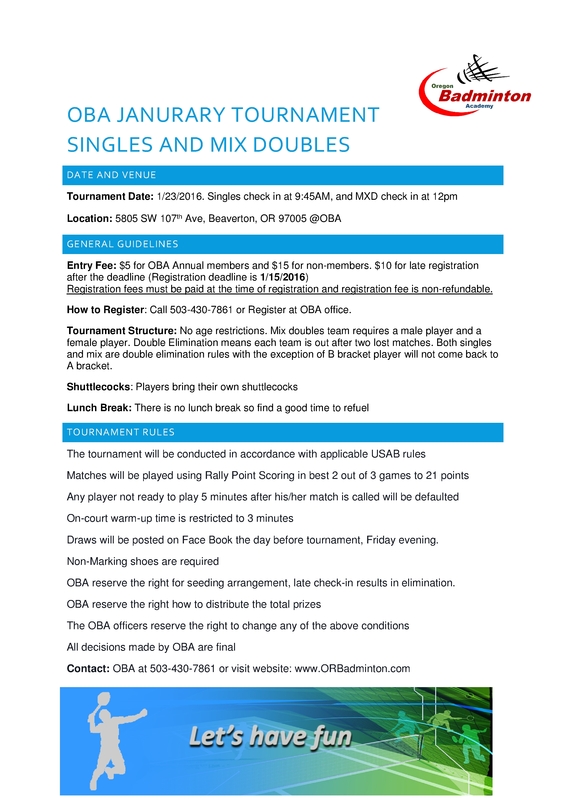 OBA will proudly host 2016 State Game of Oregon on July 9th & 10th! 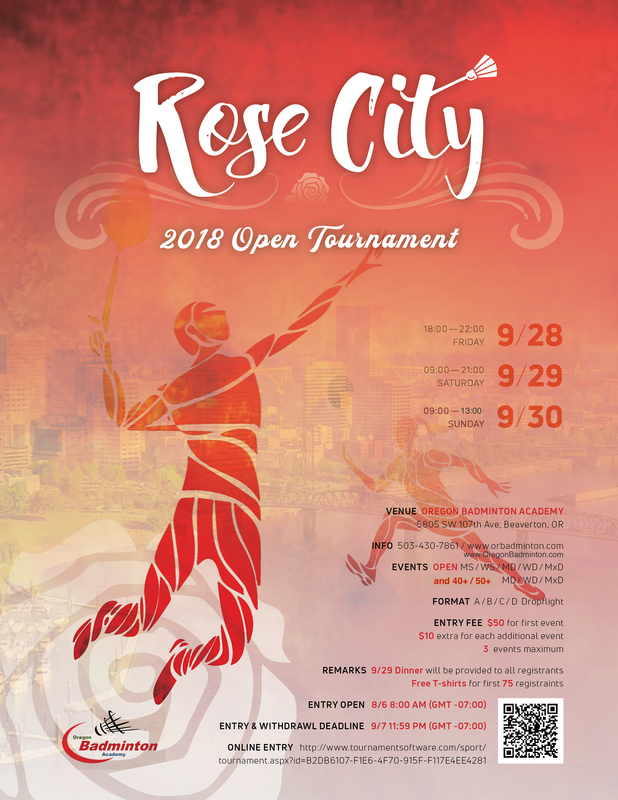 Only 1 court is available for open play and 8 courts will be used for the tournament on July 9th & 10th. 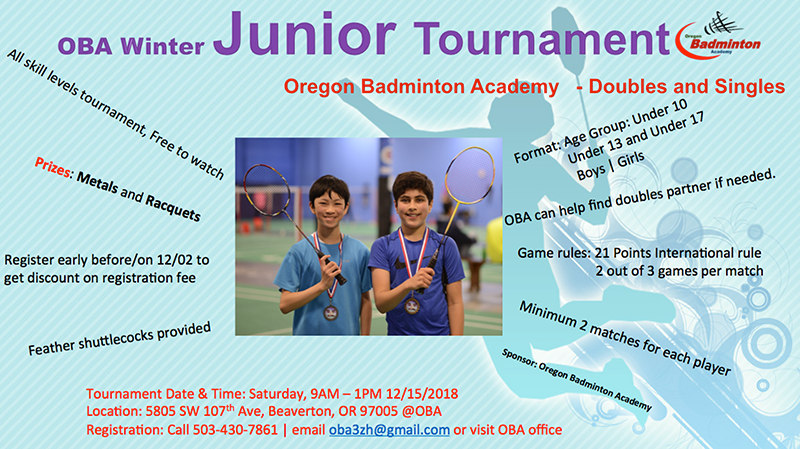 Part of Oregon Badminton Academy’s mission is to bring awareness and raise popularity of badminton sport to our community. 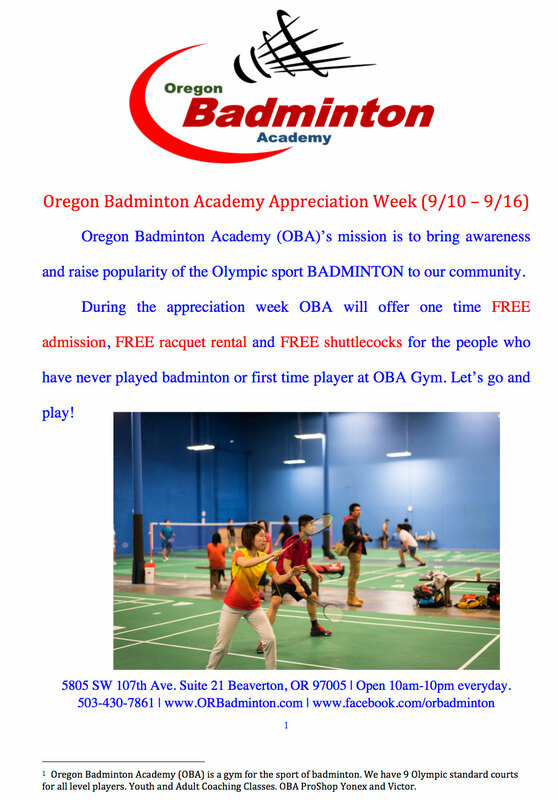 To motivate more people including beginners to play this wonderful sport, and to encourage families to exercise and have fun together during weekend, we now offer special non-peak time discount for drop-in player from Oct 9, 2015. 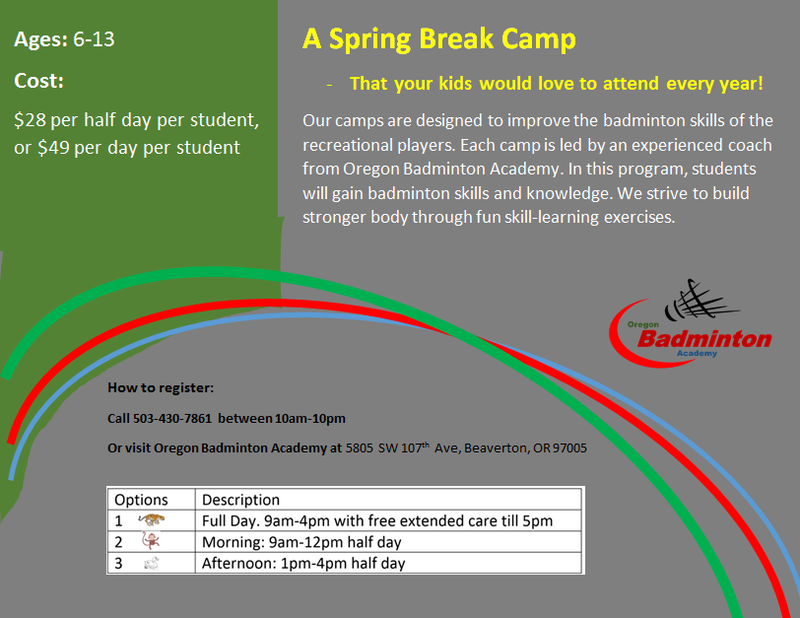 We are proud to announce that Oregon Badminton Academy is now open from 10am to 10pm 7-days a week since Sept 18, 2015. 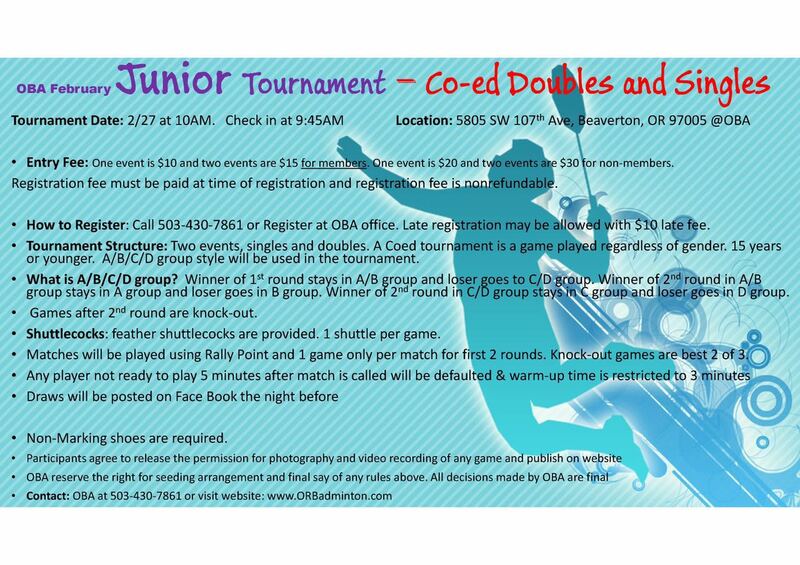 We have players at all different levels from amateur to competitive levels. 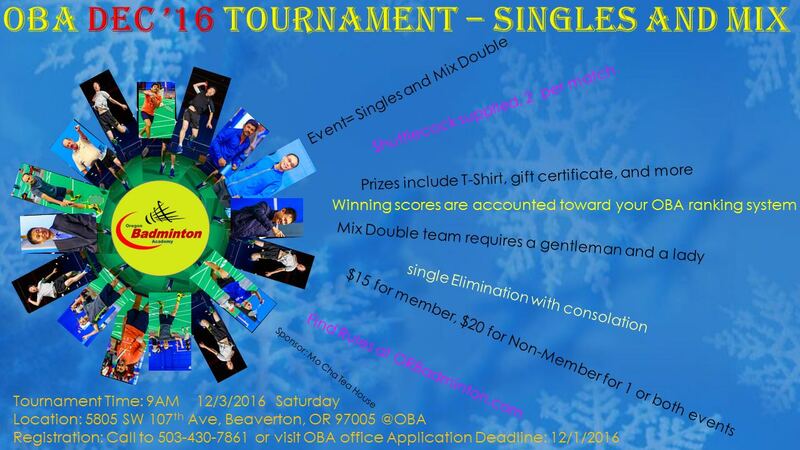 You will surely find the right group to play in and have fun.